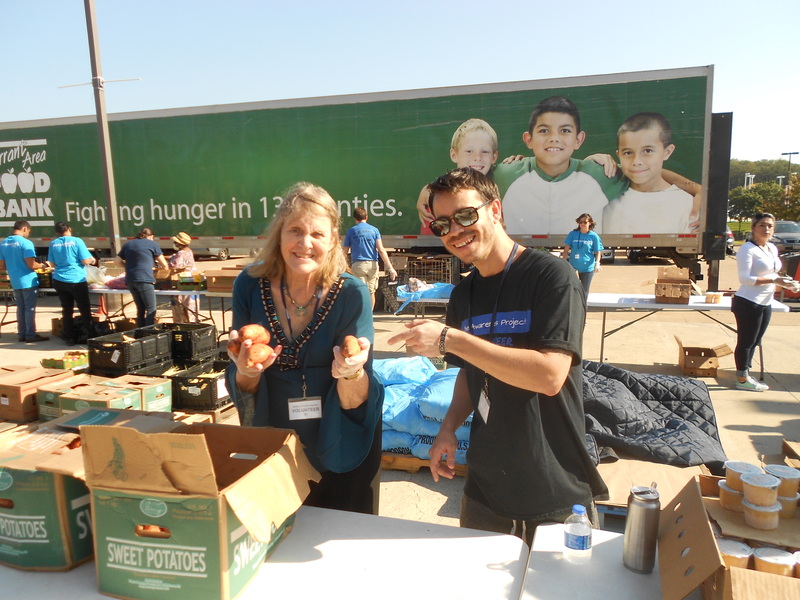 Tarrant County Foodbank distributes fresh food at the First Methodist Church of Hurst on the second Friday of each month. This time over 300 came. I handed out sweet potatoes and told people they could cook them for six minutes in a microwave. Volunteers came from Tyson, AT&T, and the Awareness Project. I asked the representative standing next to me what they did. He said they give food regularly to the homeless, and twice a year, they offer shoes and socks. This entry was posted in Delicious dishes and tagged food for hungry, mobile food pantry, Tarrant County Food Bank. Bookmark the permalink.